The Property Week Management All-Stars awards (PWMA), now in their third year, celebrate success and innovation in the property management arena. The ceremony was hosted by comedian Joel Dommet at London’s Grosvenor House, attracting an audience over 400 people, including most of the big names in property. According to the organisers, a new record was set with more entries in 2018 than any other year, so we’re really excited about winning one of the most sought-after categories. We won the prize for setting the industry standard, with a dedication to the needs of our residents and best-in-class management of our buildings. 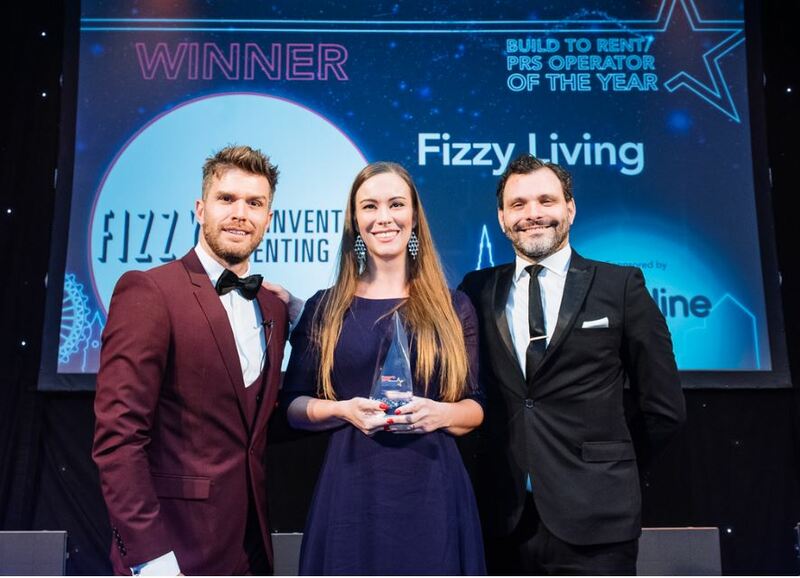 We want to say a big thank you to the judges for awarding Fizzy this prize. We also need to give a massive shout out to our people, most of all our Bobs, for making Fizzy such an awesome place to live. Staying ahead of the pack is what Fizzy is famous for and we’re already working on a whole host of ideas for 2019. You can be sure that next year we’ll be continuing to improve the resident experience and make renting fun and hassle-free. To find out for yourself why we are the Private Rented Sector operator of the year, why don’t you book a viewing today!